A smooth apple and date chutney flavoured with curry spices. Excellent with lamb dishes, use as a base for a great tagine, or add to coronation chicken for a bit of a twist. Available to buy in a quantity of 3 jars, or if you prefer you can swap the second and third jars for something else from our range of chutney's, pickles and relishes. Apples, sugar, onions, malt vinegar (from barley, contains e 150 c), dates, curry paste (contains vegetable oil, spcies, salt, maize flour, acetic acid, lactic acid and mustard), root ginger, chillies, garlic, salt. Contains barley and mustard, may contain traces of nuts. Suitable for vegans. This product is dispatched by In a Pickle Food Co.. This item has a shipping weight of between 1,500g and 1,500g depending on the options selected. 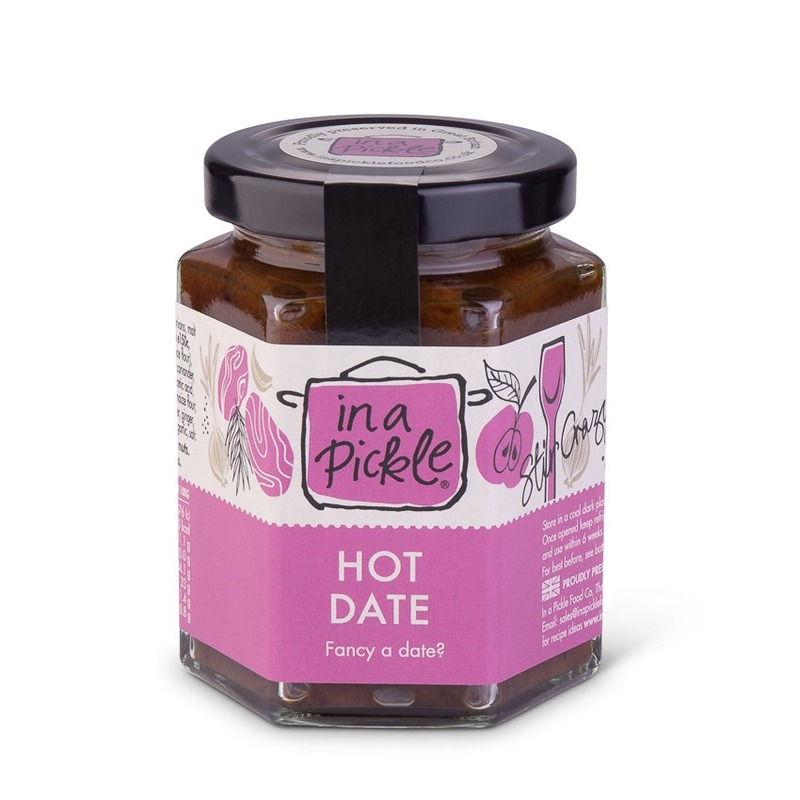 Free standard shipping on orders over £90 by In a Pickle Food Co. 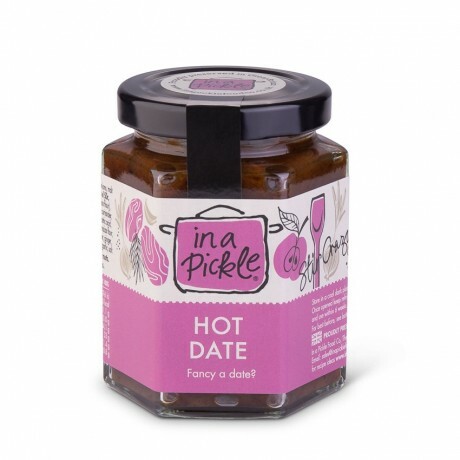 Seller's Promotions: Free standard shipping on orders over £90 by In a Pickle Food Co.
Products by In a Pickle Food Co.
More items from In a Pickle Food Co.